High-energy THz sources have recently seen a tremendous surge in development, with applications ranging from linear and nonlinear THz spectroscopy, THz-based electron acceleration, or as a novel diagnostic tool in accelerator research (streaking). While offering complementary parameters to high-energy broadband single-cycle THz pulses, which are typically created via the tilted-pulse-front technique, the development of narrow band multi-cycle THz pulses has lagged behind. However, applications specifically call for a narrowband yet high pulse-energy source. Applications for narrowband THz are, for example, phase-velocity-matched particle acceleration and manipulation, or the tuned excitation of specific material transitions. We plan a demonstration experiment that is based on a novel concept using chirped pulse copies from a high-energy Ti:Sa laser as a pump for difference frequency generation (DFG) in a periodically poled lithium niobate (PPLN) crystal. 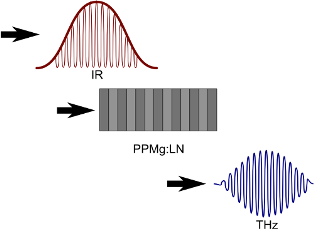 With only a few elegant changes to a proven setup, we will modify the spectral phase of the pump pulse to find the global optimum of optical-to-THz conversion efficiency, enabling the generation of higher energy narrowband THz pulses. Organic molecules can be found both in the interstellar medium and in the upper atmosphere of the planets and undergo complicated fragmentation processes when exposed to the strong UV and X-Ray radiation in these environments. The reaction dynamics and pathways are a key requirement to understand the complex photoprocesses in astro- and atmospheric chemistry. Very important molecular classes are we will study are polycyclic aromatic hydrocarbons and organic-sulphur compounds. Experiments in this field are naturally gas-phase experiments, which has in addition the advantage that all reaction products can be detected, simplifying the deciphering of their complex photochemistry. Previous studies using pump-probe-spectroscopy methods at the XUV free electron laser FLASH were limited to a small class of those molecules, which easily can be evaporated, while studies on larger molecules where limited to liquid phase laser spectroscopy. Preparing a sample of low vapour pressure solid or liquid phase molecules for gas phase experiments and inject them into the ultra-high vacuum required for the FEL with sufficient density is the challenge which will be tackled in this project. We will develop a high density molecular beam source, which can handle liquid, solid and gaseous samples, removing the existing limitation on sample delivery and enabling spectroscopy on a new class of samples. The design comprises a solenoid valve with a sample reservoir and heater system for liquid and solid samples, skimmers to collimate the molecular beam and efficient differential pumping with turbo molecular pumps to maintain ultrahigh vacuum conditions in the experimental chamber. The pulsed design of the nozzle makes use of the 10 Hz repetition rate of FLASH and will be operated at a 1:100 duty cycle, which allows increasing the sample density and backpressure significantly compared to a continuous source under similar vacuum conditions. The higher sample density will lead to excellent signal to noise ratio for high precision data analysis. The source will fit to the CAMP design of several end stations used for gas phase pump probe spectroscopy at large scale facilities. With the new source we will enable new experiments providing great research opportunities for molecular gas-phase photochemistry. The quest for the nature of Dark Matter (DM) is a major goal of modern physics, and sits at the intersection of cosmology, particle and astroparticle physics, and astronomy. Several attractive theory models feature particle DM candidates. Among them WIMPs, with a mass at the electroweak scale, have motivated a tremendous experimental effort. This 30-years-long effort has not (yet) resulted in a discovery, pushing WIMP DM models into uncomfortable regions of their parameter space. 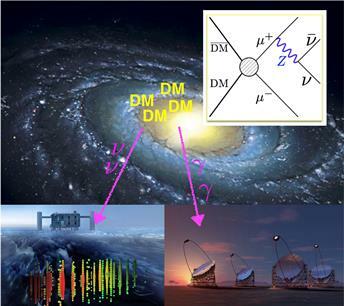 This has encouraged physicists to propose searches to look in previously unexplored DM mass ranges. In this spirit, DM candidates lighter than a GeV have received an increasing attention, while candidates heavier than 10 TeV or so have been to a good extent ignored. However, it is not difficult to imagine models where such “heavy” DM candidates arise, for example in supersymmetry-breaking sectors. 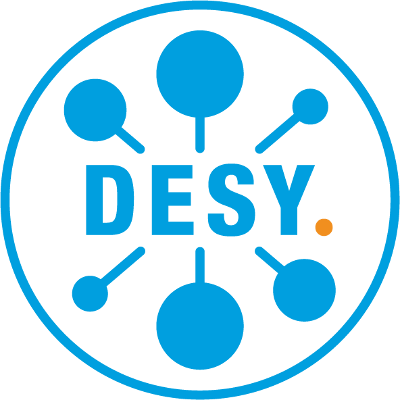 Perhaps more importantly, telescopes that could observe cosmic-ray signals from such DM are either already operating, like IceCube, H.E.S.S.II and TAIGA, or starting soon, like CTA (DESY takes part in all these 4 experiments, the University of Hamburg in 3). It is therefore timely, if not urgent, to know what signals to expect from DM particles above 10 TeV, and which related models have more chances to be probed at telescopes and colliders. It is the purpose of this seed project to pursue this novel program, which will lead to promising and complementary interactions between theorists and experimentalists. In many scientific disciplines, the extraction of three-dimensional spatial features from incomplete data is a key technology for the interpretation of experimental data. This is especially true for the PIER research areas, where astrophysical images of galaxies, photon scattering data at the molecular level and particle physics images are investigated. A common denominator for all these cases is missing information from at least one dimension and the challenge to invert the problem from image space to the space of interest. To complicate matters, the data rates and volumes are huge and new technology needs to be developed to turn this data into knowledge. To meet this challenge we set up a network of scientists in Hamburg who work on image analysis by means of machine learning. 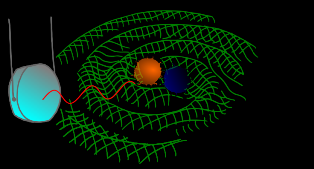 This network is called a “A Deep Learning Network for Natural Science” and consists of scientists from astrophysics, photon science, particle physics and computer science. Initial investments will be made in specialised hardware as well as network and training activities. Highly-reflective coated mirrors have various applications in precision measurement. The detection of gravitational waves and ‘light shining through a wall’ experiments such as ALPS II are two of these applications. To make future gravitational-wave detectors more sensitive, thermal vibrations of the mirror coatings have to be reduced. The coatings also have to show very low optical absorption and be available in large sizes of up to 0.5m. The concept of a crystalline and amorphous hybrid coating allows all of these requirements to be met: A crystalline top layer will reduce the power in the layers below to keep the optical absorption low. This will allow for amorphous silicon, which has low mechanical loss but rather high absorption, to be used in the lower layers to significantly reduce thermal noise. Only using one crystalline layer, instead of e.g. a full crystalline multilayer stack, will enable the realization of large coating sizes. The same coating principle can be applied to compensate for thermal lensing in the highly-reflective mirrors of high-power resonators such as used in the ALPS II experiment. In these applications, high absorbed power can distort the mirrors and lead to undesirable optical effects. The use of a compensating crystalline top-layer can, in theory, allow for the wave-front of the laser beam to be matched to the distorted mirror. In this project we want to realize and test a first prototype of a crystalline and amorphous hybrid coating. Integral membrane proteins (IMPs) are usually extracted from their native lipid environment by detergent solubilisation in order to be used for structural studies. SAXS and SANS studies of membrane proteins in detergent micelles are problematic due to the dominating contribution of detergent and background scattering of empty micelles. Reconstitution of IMPs in nanodiscs or Salipro (saposin-lipid-protein) complexes can overcome these obstacles and allow low-resolution structural investigation of membrane proteins in a native-like solution environment. In order to fully contrast-match-out the nanodisc or Salipro carriers, we plan to incorporate our IMP targets in stealth carriers consisting of deuterated MSP1 belt protein or saposin A and deuterated lipids. 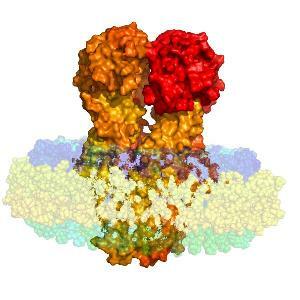 This would allow the low-resolution structural characterization of our IMPs of interest in a native-like lipid environment without the often-dominating scattering contribution of the scaffold proteins.